Salt: used mainly by cities for deicing roads but has many consumer and industrial applications as well. Specialty potash: a premium fertilizer that improves the quality, yield, and shelf life of high-value crops. Micronutrients: essential minerals that maximize plant yields. Magnesium chloride: used in numerous ways including roadway deicing, dust control, and as plant nutrients for wheat crops. Compass Minerals owns a handful of salt mines (including the largest rock salt mine in the world in Canada) and solar evaporation facilities (including the only sulfate of potash production site in North America) that it uses to produce most of its minerals. The business has shifted its mix significantly in recent years. Salt accounted for nearly 80% of sales in 2015 but was less than 60% of revenue in 2017 as management diversified the business into specialty plant nutrition products. Salt (57% of sales, 64% of operating income): about 60% of this segment's revenue is generated from sales of highway deicing salt. The remainder consists of salt sales to consumer and industrial markets for use in water conditioning, ice control, food processing, table salt, animal nutrition, plastics, and more. 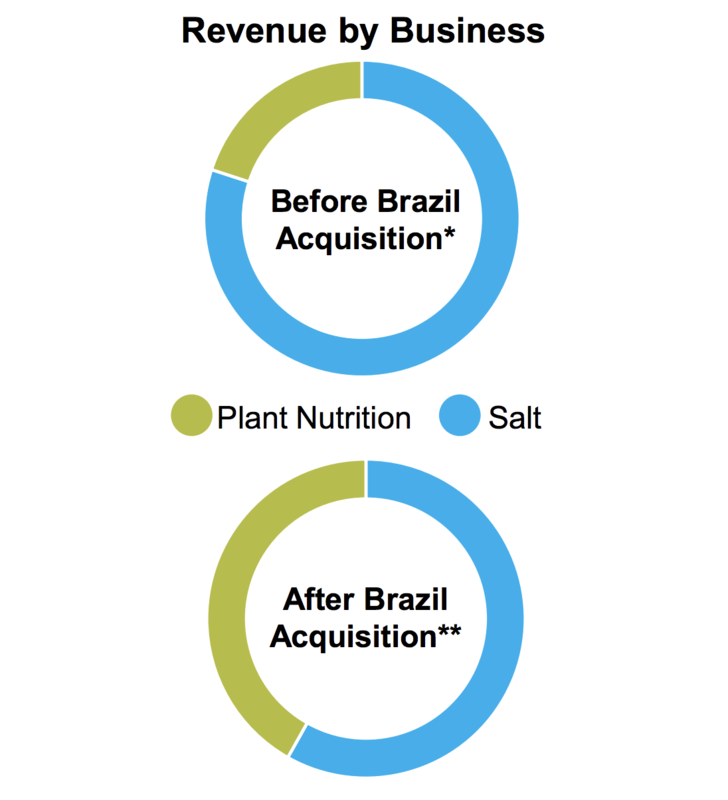 Plant Nutrition South America (28% of sales, 22% of operating income): consists of the operations of Produquímica, a Brazilian company which Compass Minerals acquired for $465 million in October 2016. This business makes a wide array of specialty plant nutrients, and supplements developed and formulated from essential primary and secondary nutrients, micronutrients, and biostimulants. About 73% of sales are related to agricultural products, with the remainder derived from chemical solutions mostly used in water treatment. Plant Nutrition North America (16% of sales, 13% of operating income): sells specialty potash fertilizer used on high-value or chloride-sensitive crops. This segment also sells micronutrients, which play important roles in plant development (nutrient deficient soils must be replenished to obtain higher crop yields). By geography, 53% of Compass Minerals' revenue is generated in the U.S., 27% in Brazil, 16% in Canada, 3% in the U.K., and 1% in other markets. Compass Minerals' primary advantages are its mineral production sites and logistical networks, which create meaningful barriers to entry and pricing power. Before diving deeper, it’s worth mentioning the relatively attractive characteristics of salt. Salt is mostly a non-discretionary purchase that has no economic substitutes or alternatives today. Governments must buy salt to keep their roadways safe, regardless of how well the economy is doing. According to the latest available data from the U.S. Geological Survey, during the 30-year period ending 2015, the production of salt used in highway deicing and for consumer and industrial products in the U.S. has increased at a historical average of approximately 1% per year. Over this same period of time, prices for salt in the U.S. have increased at an historical average of 3% per year. The cost of salt typically represents less than 1% of a government’s budget, helping Compass Minerals' pricing ability because its products are a relatively small burden on the budget. Governments purchase salt by taking in bids between April and October. They award a 12-month contract to the lowest bidder, and most contracts have a minimum volume clause (typically 80%) and fix pricing over the duration of the deal. Governments keep only enough rock salt on hand for 2-3 applications because it’s too bulky for them to store in large quantities. They reorder as their supply is used, which can significantly shift the supply-demand dynamic in favor of salt producers during extreme winter weather events. Compass Minerals' average price on awarded highway deicing contracts rose by 25% in 2014 as a result of an unusually high number of snow events, for example. With that said, rock salt is a commodity. What makes it an attractive business for Compass Minerals? For one thing, with Compass Minerals' highway salt fetching an average selling price of $53 per ton in 2017, the weight-to-value ratio is extremely high for salt. It quickly becomes clear that production and shipping costs define a salt company’s service area. In fact, transportation costs typically account for 30-40% of the total delivered cost of salt. Compass Minerals is the lowest cost producer for the Midwest area because it owns the largest and highest-quality grade rock salt mine in the world in Ontario, Canada, and has a network of 90 supply depots along navigable waterways to reach customers affordably and quickly (its mine is located right next to Lake Huron). Water transportation is about half the cost of rail and one-third the cost of trucking, meaning that Compass Minerals' operations very cost efficient. The company’s presence in the Midwest also protects it against import competition, which is only somewhat effective on the East and West coasts of the U.S.
Rock salt must also be near customers before winter starts; they can only store so much salt at a time and might need to order some for quick delivery in the event of a severe winter storm. 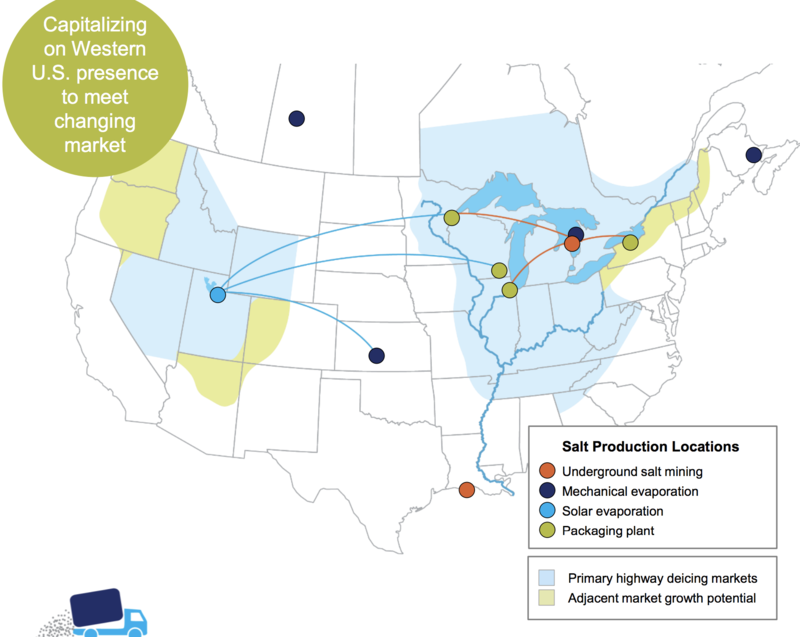 Compass Minerals' network can get salt to customers quickly by rail, truck, barge, or vessel. Competitors in the market lack Compass Minerals' economies of scale (their mines can’t produce as much salt and have higher costs) and waterway network advantages. Compass Minerals' asset network allows the company to execute a very competitive bidding strategy that significantly protects its market share thanks to its greater efficiencies. Outside of salt, Compass Minerals' sulfate of potash (SOP) business is also unique. Compass Minerals' solar evaporation pond complex in Utah is one of only four in the world (and the only one in North America) that can produce SOP from a naturally occurring brine source using solar evaporation. This production method has the lowest cost profile in the world. With limited pond-based feedstocks available in the country due to geological constraints, especially in cost-effective locations for transportation purposes, barriers to entry are extremely high in Compass Minerals' regional markets. SOP’s limited availability contributes to it accounting for less than 10% of all potash consumption. SOP is also primarily used on high-value or chloride-sensitive crops such as citrus fruits, grapes, almonds, and tobacco. Unlike major global crops such as corn, many of these “specialty” crops have demonstrated more stable economics. It’s also worth mentioning that Compass Minerals' SOP is approved for organic food production, which should only see increased demand over the coming years. While Compass Minerals' SOP business will be sensitive to broader trends in agricultural markets (most notably farmer's income), its barriers to entry, high value provided to growers of specialty crops, and solid pricing power make the business much less volatile and more profitable than traditional potash fertilizer (which, unlike SOP, includes chloride). Compass Minerals' CEO Fran Malecha joined the company in 2013 and has made a big push to diversify the business even further into the agriculture industry. From 2000 to 2013, Malecha worked at Viterra, a global agribusiness company based in Canada where he served as chief operating officer of the global grain business. Given his background, it's not a big surprise Malecha has decided to double down on similar businesses at Compass Minerals to drive growth. The push to expand more into the agriculture business is also intended to smooth out the company's salt-driven earnings, which are sensitive to winter weather conditions. In October 2016, Compass Minerals significantly expanded its plant nutrition business with the acquisition of Produquímica, a company operating two businesses in Brazil - agricultural productivity, which manufactures a range of specialty plant nutrition products, and chemical solutions, which manufactures specialty chemicals, primarily for the water treatment industry. "Traditionally at Compass, our strongest earnings have come in our first and fourth quarters, because it's been a winter business. We had some revenue from the agricultural cycle in North America bridging the time between spring and fall. In Brazil, their spring is in August, September and October. So we're getting some calendar diversity in our earnings which is great. We're still reliant on weather, because weather impacts agriculture, but not as sharply as winter impacts the road salt business." As you can see, this $465 million deal significantly shifted Compass Minerals' overall revenue mix, reducing its dependence on salt (and winter weather variability). Similar to the company's SOP business, Produquímica focuses on selling higher margin, differentiated products. Brazil's soil profile is also weaker than North America's so the need for specialty minerals and fertilizers to boost crop yields is higher. As Brazil's economy continues developing, farmers should increasingly use more specialty fertilizers, and Produquímica's products can also be exported around the rest of the world over time. Both of the company's agriculture businesses are also expected to benefit from several secular themes. A growing global population creates demand for more food, and arable land (i.e. land suitable for growing crops) per person is expected to decline. As a result, significant improvement in crop yields will be needed to support higher crop production, bolstering demand for Compass Minerals' specialty fertilizers and plant nutrients. Besides its large acquisition of Produquímica, Compass Minerals announced another bold capital allocation decision in 2014 to diversify its earnings and reduce its exposure to winter weather. Specifically, the company planned to invest more than $500 million in its key assets to improve the efficiency of its North American businesses and boost SOP production capability, which further increases its exposure to the agribusiness. On the salt side, Compass Minerals is nearing completing of a $225 million investment program to install continuous mining and continuous haulage equipment. Management expects these investments to reduce the company's mining costs by approximately $30 million annually (2.2% of sales) beginning in 2019 and improve the safety profile of its largest mine. Compass Minerals will also have greater flexibility to ramp its production levels up or down to address market demands and become the low-cost producer in North America. The company also recently commissioned its new and expanded SOP production equipment. Of the major projects Compass Minerals announced in 2014, only the mine shaft relining project at its Goderich salt mine remains to be completed. 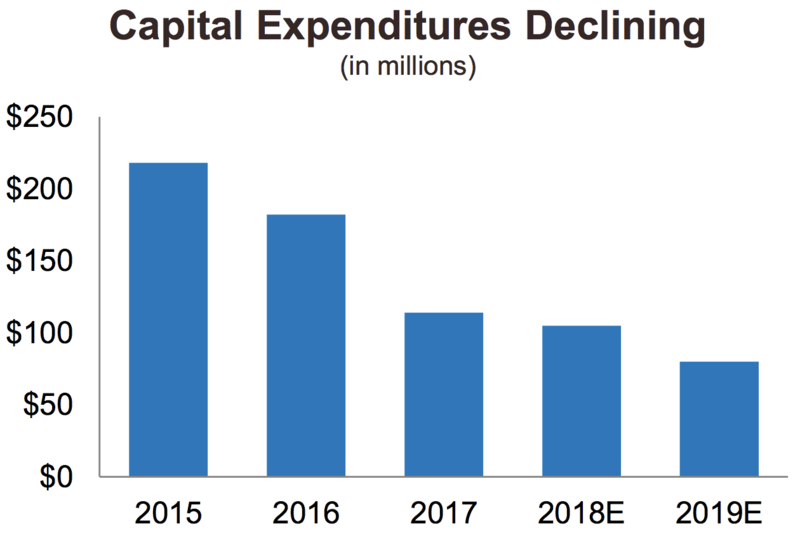 As a result, you can see that the firm's capital expenditures are significantly declining. Management had hoped these investments would significantly increase the company's EBITDA from about $300 million in 2014 to at least $500 million in 2018, but a series of macro-related challenges (mild winter weather, a downturn in crop prices) pushed Compass Minerals off track. However, cost savings, better productivity at existing sites, and increased production capacity at its salt mine and solar evaporation facility are still expected to drive strong EBITDA growth in the years head as macro conditions improve. While Compass Minerals' assortment of hard-to-replicate assets and long-term growth potential are intriguing, the company faces a handful of meaningful risks. Over the short term, Compass Minerals' business is under quite a bit of pressure. Management's aggressive investment plans and large acquisition of Produquímica stretched the company's balance sheet at an inopportune moment. As luck would have it, uncontrollable macro factors went against the company at the same time. Back-to-back mild winters in 2016 and 2017 hurt the salt business, and a multiyear downcycle in agriculture markets caused Compass Minerals' adjusted earnings per share to fall from $4.69 in 2015 to $2.75 in 2017. The company's payout ratio exceed 100% in 2017 and is projected to be close to 100% again in 2018. When combined with Compass Minerals' high debt load, which exceeds $1.3 billion and has mostly variable interest rates, management desperately needs its growth investments to start paying off. 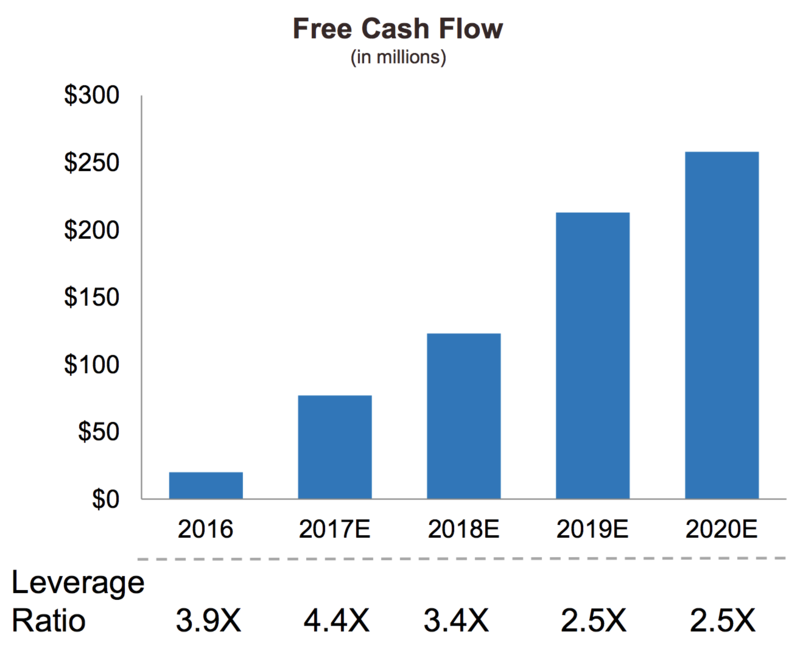 Fortunately, the company is getting to a point where the bulk of its investments are behind it and free cash flow should substantially rise over the next few years. However, mild winter weather, soft agricultural markets, and operational challenges (such as the temporary mine closure announced in September 2017) have potential to create future headwinds. Compass Minerals increased its dividend every year since going public in 2003, but management decided to freeze the dividend at its current level in early 2018, reflecting the financial pressure the business is under. 2018 will be quite a lean year for the company, so improving agriculture market conditions and more favorable weather conditions next winter are all the more important drivers. While the dividend is probably not at risk of an imminent cut, the company's margin for error certainly looks quite narrow, especially given its high debt burden. There is obviously meaningful upside if Compass Minerals' end markets recover and if management's productivity and growth investments deliver their expected returns over the next several years. However, the range of potential outcomes has widened after the company took on debt and aggressively expanded. Management expects to return the business to its targeted leverage ratio by 2019, but it goes without saying that the company's short-term results will be heavily influenced by uncontrollable macro factors. It's true that Compass Minerals' deicing salt business has minimum purchase clauses in its contracts help offset this risk to a degree, but warm winters still hurt. Since little inventory is held by the customer, mild winters result in salt producers holding much of the extra supply, forcing them to reduce operating rates at their capital-intensive mines and incur unfavorable costs. Investors considering the stock should be comfortable with weather-related volatility impacting the company from one year to the next. It’s inevitable, but fortunately such developments shouldn't impact Compass Minerals' long-term earnings growth. Similar one-off events that could impact the company’s near-term earnings (but would probably be buying opportunities) include a mine failure, accident, or unfavorable regulation that temporarily halts production. Compass Minerals' three largest mines make up over 80% of its salt producing capacity and drive the majority of its sales. However, they have long operating histories dating back to the 1800's in some cases which hopefully eliminates most potential surprises. But what could threaten Compass Minerals' long-term earnings potential? Most of these factors seem to have relatively low probabilities of playing out, but they are worth keeping an eye on. First, an economical substitute for rock salt would potentially impact almost half of CMP’s business (highway deicing represents 34% of sales), which is not very well diversified. As of today, there are no known cost-effective substitutes for most high-volume uses of salt, including deicing. There has been talk about the threat of calcium chloride, which is less damaging than rock salt. However, this debate has gone on for decades of time. Calcium chloride is simply not nearly as cost effective as rock salt. Other nature-friendly deicing methods, including cheese brine, garlic salt, and molasses, have been used in several Midwest locations. All of these products still contain salt, but it has helped customer purchase less salt to get the same effect. Over the long term, solar advancements could find ways to melt snow and ice on roads, denting demand for deicing salt. However, this seems unlikely to make a difference for the foreseeable future and is probably uneconomical anyway. Regarding the threat of salt imports, the high weight-to-value ratio of salt is worth mentioning again. 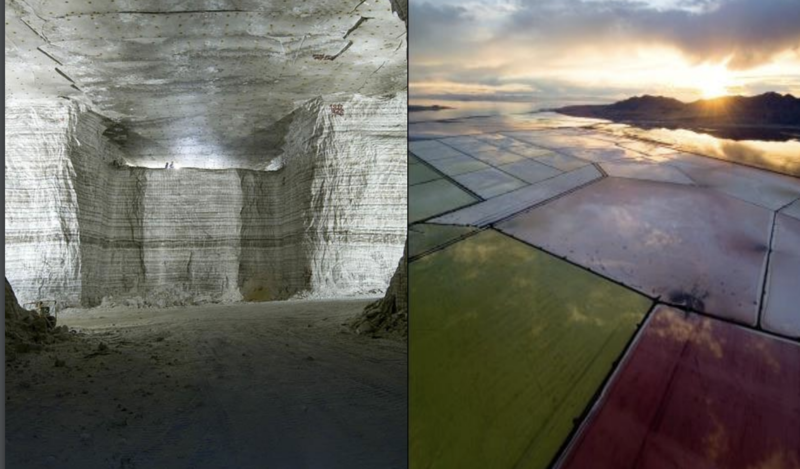 It’s very difficult to be competitive outside of regional markets closest to where a suppliers’ salt mine is located. Compass Minerals is especially protected because it has little market presence on the East and West coasts, which are easier to access for imports. For the time being, rock salt is here to stay. A bigger long-term concern for the company is its SOP business. 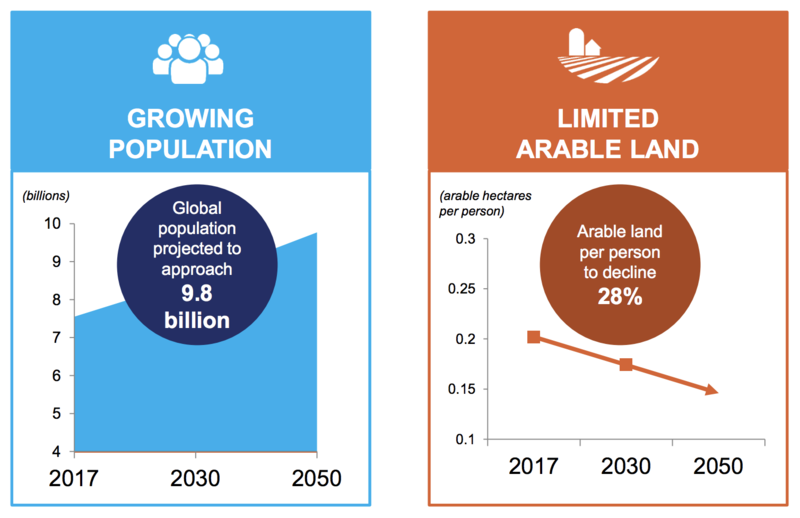 While the long-term demand growth story makes sense (higher global population, less arable land), the agricultural market is very global and unpredictable. With SOP fetching meaningful price premiums over basic potash fertilizers with chloride, capital would suggest that more supply will enter the SOP market, alternatives will become attractive (e.g. substituting higher levels of more basic fertilizers), or something else will reduce the industry’s profitability. Compass Minerals, EuroChem, and IC Potash have all announced plans to increase their production capacity of SOP in recent years. How these changes will impact the SOP market and Compass Minerals' low-cost business is uncertain. Similarly, the company's Brazilian business is sensitive to supply and demand imbalances across the agriculture space. When crop prices decline, growers are more reluctant to spend on higher-price offerings. It remains to be seen whether or not management will realize the intended benefits from this large deal. Some skepticism is warranted since the business is somewhat outside of Compass Minerals' wheelhouse and was primarily pursued for diversification purposes. Compass Minerals has been a reliable dividend growth stock for 15 years and has an even more impressive operating history dating back nearly two centuries. The company's businesses are relatively simple to understand, largely uncorrelated with the economy, and very durable thanks to their unique assets, which are practically impossible to replicate in many cases. However, a prolonged stretch of unfavorable macro conditions, combined with management's aggressive investments, which stretched the balance sheet, have meaningfully increased Compass Minerals' risk over the short term. While management seems committed to maintaining the existing dividend until the company's cash flow improves, conservative investors may be better off waiting on the sidelines until Compass Minerals is in better financial shape and has more breathing room.